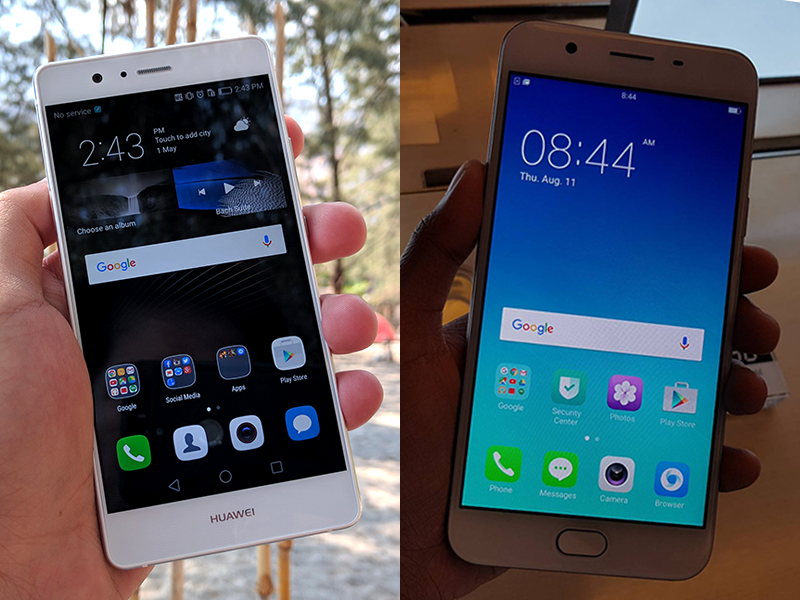 Huawei P9 Lite Vs Oppo F1s Specs Comparison! Home / mobile / news / oppo / Huawei P9 Lite Vs Oppo F1s Specs Comparison! Last night, Oppo Philippines has announced the F1s, their 3rd"Selfie Expert" that's in between the regular F1 and F1 Plus. It aims to target individuals who wants a phone with good processing power and one of the highest megapixel count found on a selfie camera on a budget. Huawei P9 Lite or Oppo F1s? For this comparison, we received several request to pit it against Huawei's photography centric phone, the excellent P9 Lite. Why? They're in the same price range. So, let's compare. Given those specs, both handsets are capable for your daily multitasking and can even run some heavy 3D games and processes. Clearly, the Oppo F1s has an edge in selfie photography due to its large 16 MP f/2.0 aperture lens in front. The F1s also boast bigger internal storage at 32 GB, better GPU at Mali T860, and OTG support. Battery capacity is about the same. On the other hand, the Huawei P9 Lite is equipped with a 13 MP f/2.0 main camera with complete controls and fully loaded features. It also packs a more powerful chip with its 1.7 GHz 64 Bit Kirin 650 octa core processor, sharper FHD resolution, and a more modern Android 6.0 Marshmallow OS w/ the underrated EMUI 4.1 on top. It is also slightly cheaper at 12,490 Pesos. Related: Huawei P9 Lite Review - Superb Experience, Amazing Price! Both are great in this price range, just choose the best for your purpose. Now, we want to pit them against each other in real life.